4.5	stars -	"Review for Gath Retractable Visor Kit Number 2" Mark Taylor This Gath Retractable Visor Kit Number 2 is the best Surf Caps and Helmets I have tried. 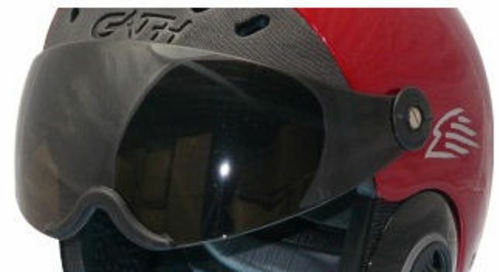 The Gedi Half Face Visors can be fitted to Surf Convertible models that are visor ready... (central hole in helmet at visor attachment point and two small holes either side). If you are not certain...contact Gath for further info regarding retro-fitting of visors to your Surf Convertible. Clear Tint visors are more suited to overcast cloudy days for improved vision and provide ideal protection against stinging salt water spray. Smoke Grey tint reduces reflective glare and is ideal eye protection on bright sunny days.